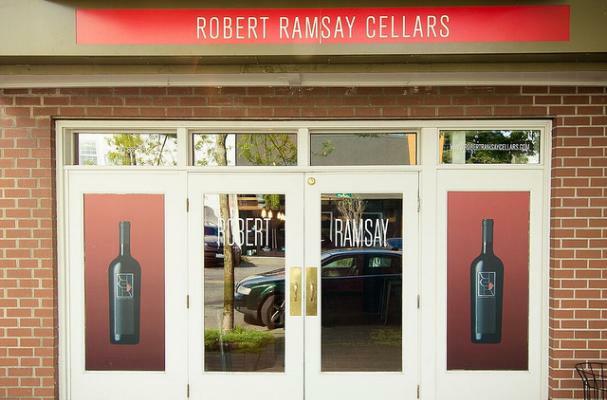 Serving French style wine in a neighborhood wine bar is certainly a touch of class that Robert Ramsay Cellars brings to Queen Anne Hill in Seattle. This is a terrific location, just five minutes up the hill from the Seattle Center. 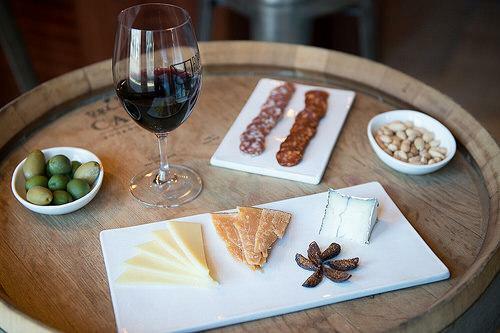 The excellent wines are paired with an assortment of cheeses and crackers, selections of charcuterie and other snacks. While visiting you might run into-co-owner Lauren Vogt who does the marketing for her husband and winemaker, Robert (Bob) Harris. I’m really jealous that Lauren and Bob are able to have a several block walk to work. It brought back memories of one of my first apartments in Seattle which was also just several blocks away. Too bad this wine bar was not here then. Bob Harris specializes in using varietals that are originally grown in the Rhone Wine, Côtesdu Rhône (English: Slopes or Hills of the Rhône), region in Southern France. The region has two main sections, the Northern Rhône, featuring Syrah and Viognier and the Southern Rhône Valley, which is warmer and drier and features Grenache, Mourvedre, and Roussanne. There is great debate, even including DNA analysis, as to the exact date the first vineyards were cultivated. While there is no conclusive evidence, it is safe to say they have been growing grapes since ancient times. The names of the varietals are also interesting. Australian winemakers use Shiraz instead of Syrah for the same grape. Shiraz is also the name of a city in Iran, where, according to speculation, some of the earliest wines were made. At this point, we have no proof of this, even with DNA analysis. However – it does seem to line up with the story of Noah’s Ark from the Bible. They very first thing that Noah and his sons did when the Ark finally found dry land was to plant vineyards. Not sure that they landed in what is now Iran – but definitely in the same neighborhood. Bob Harris sources his grapes from several vineyards in Eastern Washington where the climate and latitude are similar to the Rhone Valley. Both areas benefit from summers that are warm and dry with plenty of daytime growing hours. We began our tasting with the McKinley Springs Syrah which has a light cherry nose and a very light pepper taste. Another Syrah, Horse Heaven Hills, was next up. This Syrah is blended with a small amount of Viognier creating a black fruit taste and is very rich and soft. The perfect Northern Rhone style. We also sampled the Le Mien which is mostly Grenache blended nicely with Mourvedre. It is lightly spicy with a rich taste and pairs delightfully with any of the charcuterie snacks. We wanted to sip some white wine and the Grenache Blanc de Noir was a great choice. This white wine, which comes from red grapes, has a full rich body. The secret for getting white wine from red grapes is to quickly press the grapes without allowing them to be in contact with the skins. We were fortunate to also have a chance to chat with Casey Cobble, the other Robert Ramsay winemaker. She can often be found at the winery’s facility and tasting room in Woodinville. 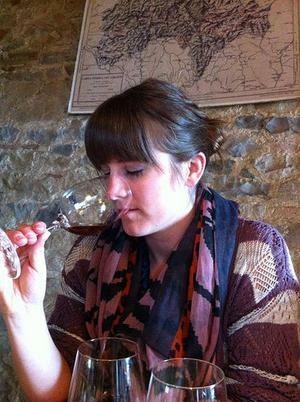 Casey has been working with local wineries since 2008 and is very active in the local wine community. She travels often to Eastern Washington to visit the six vineyards where their grapes are sourced. Casey said that “I love to nerd out” at these vineyards. She loves roaming the vineyards and chatting with the growers. Casey is also involved with Women Stars of Food and Wine, a local networking and general support group. She is certainly a rising star in this field and many will enjoy her wine as we all age.